...then you need our professional design services for Real Estate Investors and Builders! Our designs lead to a 10-25% increase in the value of your property! We help real estate investors like you grow successful, thriving REI businesses by taking the guesswork out of selling your property! Whether you’re struggle with figuring out how to make your property stand out from the competition or are simply stretched too thin in your business, we have solutions for you. With over 20 years of design and construction experience, my team and I provide professional space planning, kitchen design, staging and finish packages. We curate the most desirable fixtures and finishes on the market. We can help you rehab your flips or design your new builds to appeal to more potential home buyers, leading to more closed deals. Click to schedule your free phone consultation! Schedule your on-site consultation and we will provide you with valuable design expertise on the spot. After our on-site consultation we will work up the perfect design for your property with the goal to make sure it sells fast. REI Design Solutions will then provide you with the design deliverables needed to rehab your property. Once you have your property rehabbed, have REI Design Solutions stage it to sell. You are now on the homestretch to growing your profits. We handle the design work so that with just a few improvements your properties will look better, sell faster, and get the best possible return on your investment! Learn more about how we can increase your profits with a free strategy call! Click to get started. Click on any of our services to learn more or schedule your complimentary 30 minute phone consultation to learn how we can help you focus on what matters. Everyone knows that kitchens and bathrooms sell houses. Let REI Design Solutions help you create a kitchen layout that will be a sure sell! One of the best ways to ensure your property sells fast is to have a floor plan and cohesive layout. We take into account traffic flow, furniture layout, and buyers needs. Finding the right finishes for your rehabs takes time, energy, and money. Don’t spend your valuable time searching for the perfect items; let us do it for you! It has been proven and tested that STAGING SELLS REAL ESTATE! If you are in the Houston area call us today for all your staging needs. Our project oversight services help investors eliminate many of the interminable rehab tasks that keep you from getting that next deal. We can help! Here’s How Our Design Services Help You Grow Your REI Business AND Your Profits! Let's face it, real estate investing can be hard work! Growing a thriving fix-and-flip or new build real estate business is not for the faint of heart. That is why we exist: to come alongside you, make your life easier, and take the guesswork out of growing! 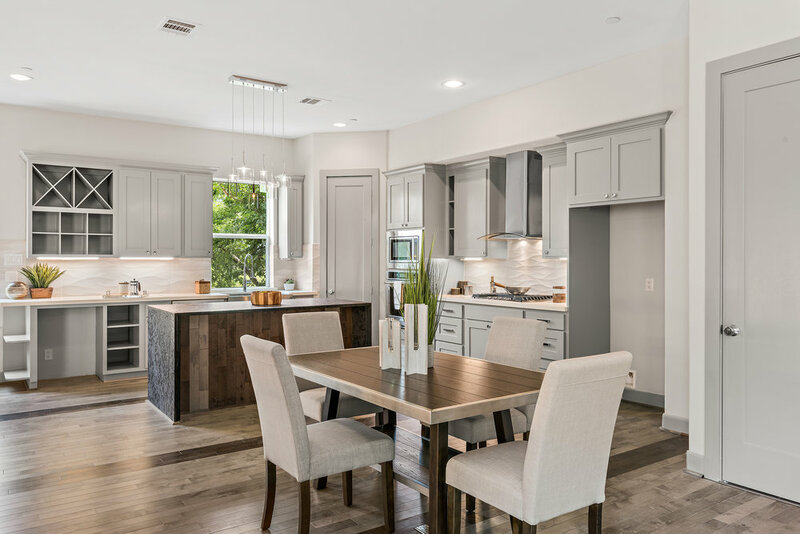 Christine Heartsill, owner and principle interior designer at REI Design Solutions, LLC has over 20 years of experience in remodeling, kitchen design, space planning and project management. 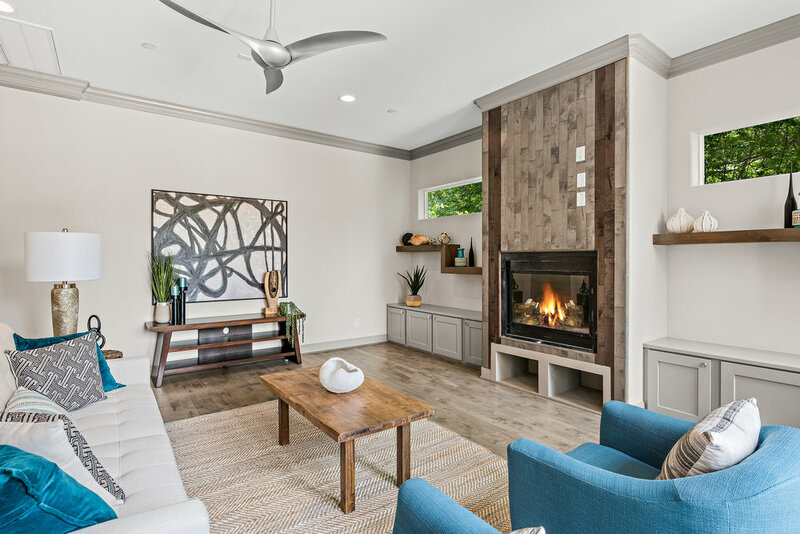 She and her team work closely with leading real estate investors to increase the value of their properties through her superior design an staging services. With an extensive background in both design and construction, Christine uses her outside-the-box creativity to find solutions to even the most challenging situations. She’s able to effectively transform even the most drab properties into stunning, highly desirable and one-of-a-kind homes that that quickly sell for top dollar in today’s competitive real estate market. From consultations to full service design work we do it all! Our most popular services with Real Estate Investors are Finish Selections, kitchen design and staging. REI Design Solutions has something for every aspect of your project. Take a look at the gallery below to see some of our favorite client projects. Got questions? We want to hear from you! If you’re trying to decide which of our services is right for you or you have specific needs in your business, we can help. Click the button below to schedule your free consultation with our designer. In the meantime, take a look at some of our most frequently asked questions. Click on the questions to reveal the answers. Schedule 30 Min Consultation Now! 1. How long does take to get the design back after I order? We understand time is of the essence in flipping houses so we make every effort to get our deliverables to our clients with in 7-10 business days depending on the scope of the work. 2. What’s the difference between REI Design Solutions and other designers? Other interior designers will work with real estate investors but not many of them ARE investors. It takes keen understanding of the goals of the real estate investor to be able to adequately help them with their flips. We have that knowledge and we too are investors so we understand our clients needs. 3. How can I maximize profits by working with you? We take into account all factors about your property (i.e. comps in the area, style of the home, ARV etc). Because we know what sells and what doesn't, we can help design your property to help it sell quickly and we can guide you on what you should and shouldn't do with your rehab budget thereby ensuring more money in your pocket at closing. 4. What if I don't need all of your services? No problem! After our initial consultation we can provide you with a "Selection" quote whereby you can choose which of our services best fits your needs at the time. 5. Does your company perform the construction work? No. REI Design Solutions is not a general contractor. We provide you will all the necessary design tools to complete your rehab on your own or with the help of a general contractor. We are there for you along the way however, to answer questions and give you guidance. 6. How much does each of your services cost? That depends on your design needs, scope of work, condition of property etc. With that said, REI Design Solutions has packaged our services to make it easy and affordable to hire us! The best way to start working with us is to schedule your COMPLIMENTARY 30 Min phone or online consultation. After our 30 minute consultation, we can help you determine where we would best add value to your project and provide you with a design proposal that will best fit your needs.